One of the most costly and hardest activities that can be undertaken by a business is advertising. Use of mainstream media and access to a large marketing budget doesn’t necessarily guarantee the success of a marketing campaign. The only way an advertising campaign will be effective is when the ad is noticed by someone and is powerful enough to lure them to the company’s products and services. This can be extremely difficult to pull off, especially in today’s competitive market. Potential customers need to see the business logo everywhere and on everything. This is not a joke. It has become reality these days particularly because the online market doesn’t have any barriers to entry. 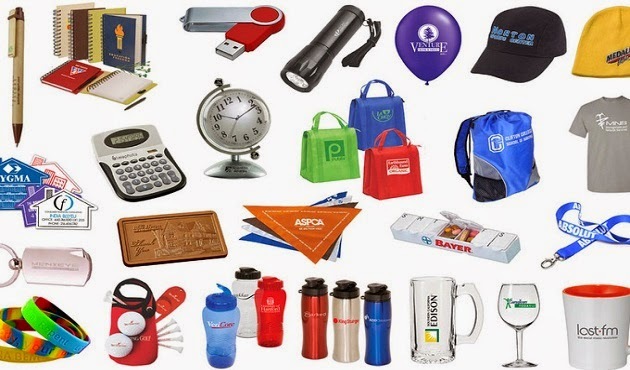 As per a Marketing Specialist from ArdmoreBF, a promotional products CT company, the only way to ensure that the company’s logo remains imprinted on the minds of customers is to advertise the business with the aid of promotional products such as custom t-shirts, bags, hats, key chains, mugs, buttons, pens and a myriad of other products. Even though they are very small investments, these products have the power to provide a business with a better and noticeable return on investment as opposed to bench ads and billboards, which can poke a huge hole in the budget of a business. The unique part about promotional products is that they travel from place to place, which gives a business greater exposure. •	Getting passed along: Items like key chains and pens are very tiny investments, but the fact is that they are seen by countless people and are passed along to others who would have never heard of the business otherwise. They can prove to be immensely useful in developing brand awareness amongst the customers and the people they meet on a regular basis. •	Daily reminders: There are some promotional products that don’t travel with customers such as table calendars, but they can still be handy. The customer will notice them every day and this will be a subtle reminder to them about the business and its products and services. This is also an excellent way to develop customer loyalty in existing customers. •	Walking billboards: Instead of spending thousands of dollars on advertising via billboards, a business can choose to use walking billboards in the form of promotional t-shirts and hats. The customer will think of the business when they are putting them on and everyone who sees them will also become aware of the brand name. Can there be any better low cost advertising? •	Goodwill: When a business chooses to give away promotional products for free that can be used by people, it improves the goodwill of the company. People develop respect for the brand name and will spread the word. In this way, the business can also benefit from recommendations and word-of-mouth. Apart from these benefits, promotional products can also be used to motivate and unite employees, which leads to greater productivity and success for the business as a whole.